The International Development Hackathon (IDHack) was held in February 2018. Very broadly, hackathons are twenty-four-hour events where groups of students come together to solve a challenge. Typically, this challenge involves using some sort of new technology or software, but IDHack is different. 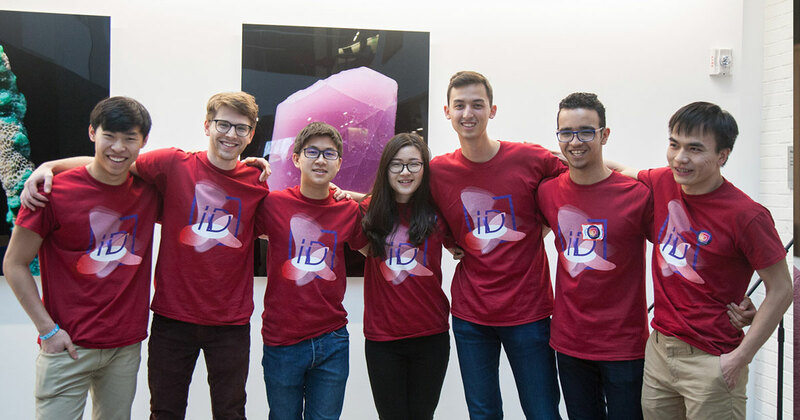 Instead of asking students to master machine learning, blockchain, or an image analysis algorithm just for the sake of it, IDHack poses a different challenge to students. It asks students to understand the role that technology can play in the field of international development. IDHack accomplishes this goal by bringing real NGOs with real challenges to the event and allows them to pitch their problems to the students attending. At IDHack 2018, we had eight NGOs attending, Konexio, Slavefreetrade, the Dream Project, One Light Global, The Exploratory, Fundacion Yucatan, Wavetrekker, and Girl Effect: Technology Enabled Girl Ambassadors. Their challenges spanned from data collection apps to utilizing the blockchain to track slave labor. To help students tackle these tasks, we had over 15 mentors, all with unique skill sets. Broadly, these mentors fell into two categories: technical mentors, who could help troubleshoot issues with coding and software, as well as international development mentors. International development mentors were all students from The Fletcher School of Law and Diplomacy who had experience working abroad. As the competition came to an end, all the teams that stuck it out through the night presented their projects. The team that won first prize, TEGA-X, built a phone application that would automatically hear and translate anything. As an organizer of IDHack, it was a challenging, yet amazing experience. I had the opportunity to interface with organizations in both the technology and international development sectors and learned how to make powerful value propositions to get these different groups to work together. Additionally, everyone on the organizing team had the opportunity to grow as a leader of their section of the project, whether it was talking to NGOs and sponsors, logistics, or marketing. Seeing all the pieces come together on Friday brought a feeling of satisfaction and excitement. The only thing left to do is to start preparing for IDHack 2019!